Here’s a good promotion through which you can get a Free Ashampoo Burning Studio 2010 License. I’m pretty sure you are familiar with Ashampoo Burning Studio. Well, if you aren’t then you’re missing a really good software! It’s one of the best CD/DVD burning softwares at present. Some of the other popular ones are Nero, Roxio, BurnAware, etc. What makes Ashampoo great is its simple and easy to use interface. Well, it’s certainly a great alternative to Nero which is filled with lot of junk. I came across a promotion through which you can get Ashampoo Burning Studio 2010 License for free. You can check out the promotion here. All you need to do is enter your email ID and then click on the link you get in your email to receive your license. 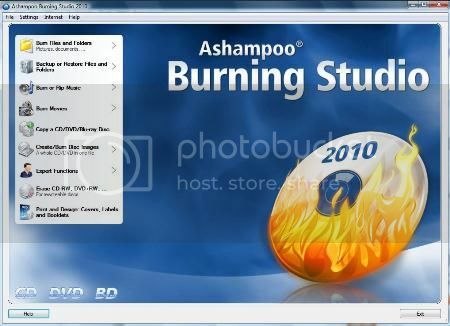 Download Ashampoo Burning Studio 2010, install it and then use the above code to activate it.